Laser hair removal and electrolysis are the most popular hair removal methods nowadays. While both these procedures are performed to inhibit unwanted hair growth, they are far from being interchangeable. This article explains the notable differences between the two. Electrolysis is a method that uses an electrical current to destroy hair roots. As the electric current passes through the electrolyte, the hair follicle’s growth center is disrupted by a series of chemical changes. During the procedure, a fine probe is inserted into the follicles, while a tweezer is used to remove the individual hair strands in the area where unwanted hair growth is prominent. Originally discovered by Michael Faraday back in the late 18th century, the basic principles of electrolysis was further developed by Svante Arrhenius. It is used to permanently remove hair and can be medically performed to inhibit the growth of tumors in the body. Laser hair removal, on the other hand, is a method that uses a laser beam to prohibit unwanted hair growth. During the procedure, a device is used to manipulate the direction of the laser beam. As the device passes through areas with unwanted hair growth, the laser damages the hair follicles through conducting intense heat. People undergoing the procedure are instructed to wear protective glasses to avoid eye damage. Although laser hair removal slows hair growth, it does not guarantee permanent hair removal. So what’s the difference between electrolysis and laser hair removal? While both these procedures work towards the same goal, they are far from being the same. First, electrolysis uses an electrical current to permanently prevent hair growth. Once the electric current activates, the papilla of the hair follicle is cauterized. This then disables the ability of the hair follicles to grow. Meanwhile, laser hair removal involves the use of a laser beam, which conducts intense heat into the follicles to slow hair growth. As electrolysis is conducted, a fine probe is inserted into the hair follicles to conduct the electric current. The probe is as thin as a tiny needle, and it works on individual hair follicles. Laser hair removal, on the other hand, has a different working mechanism. Unlike electrolysis, the laser beam prevents hair growth by working on multiple hair follicles at a time. Since electrolysis is a time-consuming process, a single session may last from 15 minutes to 1 hour, depending on the thickness of the hair follicles. Laser hair removal lasts for 15 to 30 minutes since the laser beam is able to simultaneously work on multiple hair follicles. In addition, electrolysis is an ideal permanent hair removal method regardless of skin and hair color. 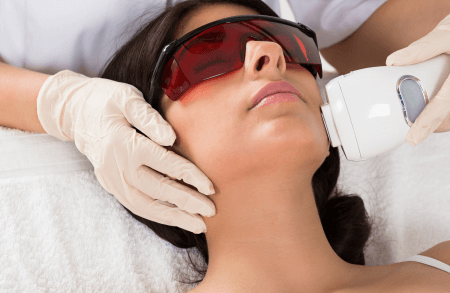 Laser hair removal, by contrast, is applicable only to those with darker hair follicles because the beam light was designed to attack dark matter. Since both electrolysis and laser hair removal can cause pain and discomfort, a topical anesthetic cream can be applied on the affected area before the procedure. However, contrary to laser hair removal that only causes a slight snapping sensation, electrolysis is more painful because it is an invasive procedure. Patients undergoing electrolysis may feel a continuous stinging or plucking sensation. In terms of efficiency, electrolysis is the only FDA approved permanent hair removal method. Laser hair removal, on the other hand, is approved as a semi-permanent to permanent hair reduction procedure. Lastly, probable side effects of electrolysis include redness, swelling, increase of ingrown hair, and scarring. Laser hair removal may cause dryness, itchiness, swelling, scarring, infection, scab formation, acne, and changes in skin color and pigmentation.